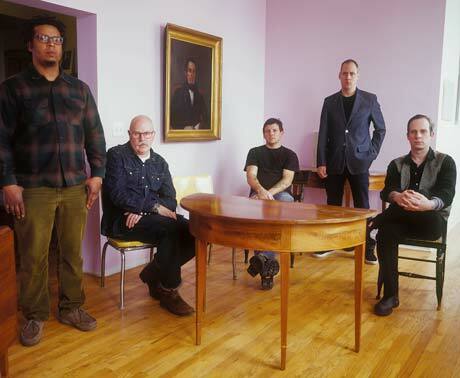 Tortoise, the jazzy post-rock band no one would shut up about ten years ago, have announced that they have decided to revisit one of their schemes from said time period: the limited-edition twelve-inch remix. The band will be releasing a twelve-inch featuring remixes of two songs from their latest disc, Beacons of Ancestorship, which is their first in five years and sixth overall. Side A features Yamantaka Eye from Boredoms remixing "High Class Slim Came Floatin' In," while side AA (or, B, whatever floats your boat) has Mark Ernestus (Basic Channel, Rhythm & Sound) remixing "Gigantes." In the past, Tortoise have been remixed by the likes of UNKLE, Jim O'Rourke, Derrick Carter, Oval, Autechre and Stereolab. The new twelve-inch will be released by the band's long-time label Thrill Jockey and will be limited to 1,500 copies when it's released on August 18.